There were two places that we wanted to visit in London during this trip. 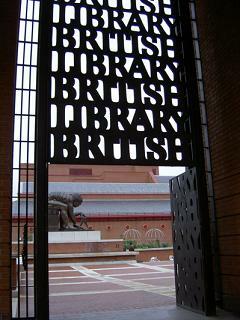 One of them is British Library. Every single book which were published in Britain is stored in this national library and it is the biggest research library in the world. 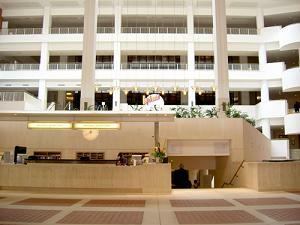 This building was open in 1998. 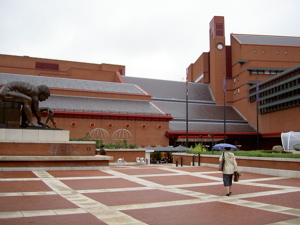 Its architect is Colin St. John Wilson. Price Charles didn’t like the building at first but when he went inside the building he liked the interior. There’s a huge tower of books↓, stood in the middle of the building. 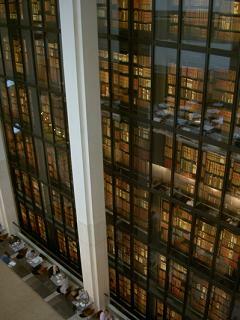 These books were collected by King George III from 1763 to 1820 and the collection is called King’s library. Apparently he stated that the collection had to be stored separately from other books. The tower of the old books looked powerful. This library exhibits various originals, like contemporaneous copies of an English 1215 charter, Magna Carta, or hand written lyrics by John Lennon. My husband explained them to me and it was very interesting. 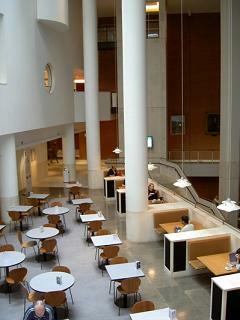 Most of British museums and art galleries do not take admissions. Only donation boxes are located at the entrance. What a good country.